Dr Sutton was the leading Australian dental researcher to question the alleged scientific basis for fluoridation. In 1959, as a Senior Research Fellow in the Department of Oral Medicine and Surgery, University of Melbourne, Dr. Sutton published a landmark monograph, “Fluoridation: Errors and Omissions in Experimental Trials” (Melbourne University Press, Melbourne). This was a greatly expanded version of a paper published in 1958 by Dr Sutton and Sir Arthur Amies, then Dean of the Melbourne University Dental School. The monograph revealed in detail some of the serious deficiencies in the North American fluoridation ‘trials’ at Grand Rapids, Evanston, Brantford and Newburgh. In my view it is a substantial scientific analysis, carefully and rigorously done. It shows that the trials have major short-comings, including limitations of data used, inconsistencies and errors in sampling, inadequacy of control populations, inappropriate ‘weighting’ of results, alterations to original results and misleading presentations and discussions of results. Soon after publication of the monograph, the pro-fluoridation Australian Dental Association (ADA) sent copies ‘to all of the men who are in charge of the experiment’, asking them for comments. 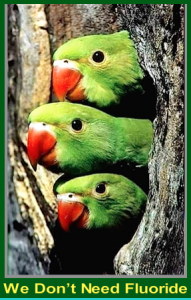 Then three hostile reviews were published in the “Australian Dental Journal (February 1960) and on the “New Zealand Dental Journal” (January 1960). Although the reviews contained serious and inaccurate accusations, it appears that Dr Sutton was not given the opportunity to reply in the journals concerned. So, Dr Sutton brought out a second edition of his monograph (Melbourne University Press, 1960) which included the hostile reviews in full, together with his responses. to normal practice and counter to his wishes. 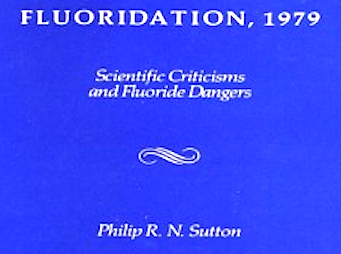 Dr Sutton’s critique of the early fluoridation trials has stood the test of time. without any citation of Dr Sutton’s critique. In 1985, Dr Sutton and I convened a scientific symposium on fluoridation at the annual conference of the Australian and New Zealand Association for the Advancement of Science (ANZAAS). This may well have been the first scientific symposium aiming to debate the issue of fluoridation in Australia. We invited two of the main proponents of fluoridation to participate: the ADA and the National Health and Medical Research Council. Both decline, and the ADA wrote to the organisers of the ANZAAS Conference questioning the motivations of the conveners of the symposium. Fortunately, this pressure was resisted and the symposium when ahead. As a result of the attempted suppression, the symposium gained very wide media coverage in Australia. to those who saw themselves as his opponents.